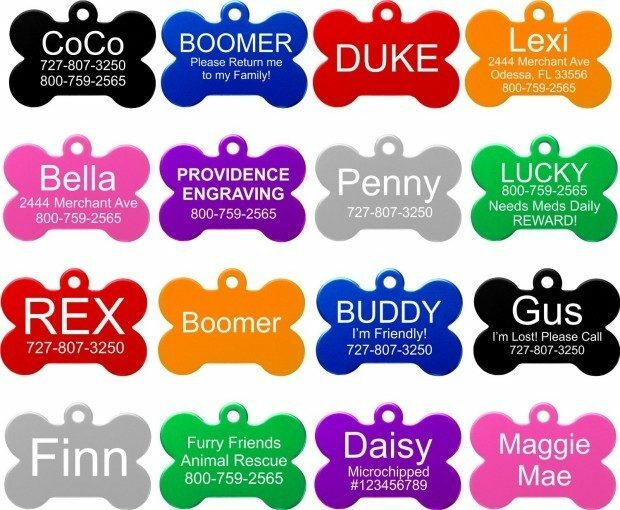 Pet ID Tag Only $2.95 Plus FREE Shipping! You are here: Home / Great Deals / Amazon Deals / Pet ID Tag Only $2.95 Plus FREE Shipping! One of the dogs in the neighborhood slipped away from his sitter this week and was missing for a couple of days. Now we are super paranoid about all the pets having proper ID! These Pet Id Tags are Only $2.95 Plus FREE Shipping, so get enough to have one on every leash & collar! 8 colors and shapes to choose from!